MOISTURISE – Keep your skin beautifully hydrated while obtaining a subtle bronzed glow with Cocoa Brown Gentle Bronze. GLOW – The gradual tan enables you to control how deep you want your tan to be, while giving your body a moisturising experience. 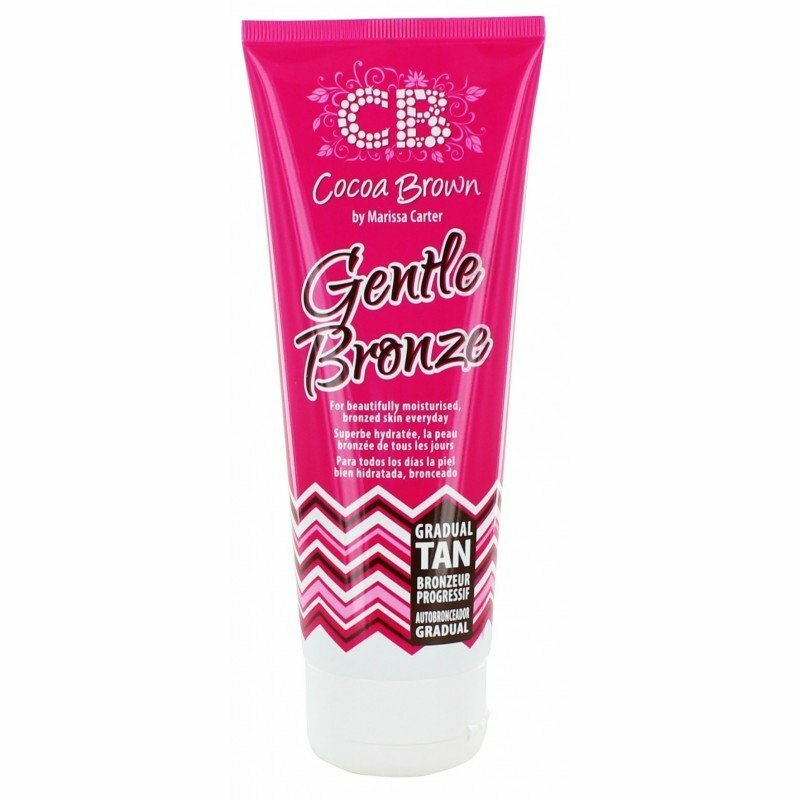 USE DAILY -Apply Cocoa Brown Gentle Bronze daily to moisturise your skin while adding a hint of colour. Marissa’s Tip: Gentle Bronze is fabulous for use on holiday where your skin is in contact with water and sunscreen regularly. Apply Gentle Bronze daily after you shower for an even glow that won’t fade unevenly.